Monopoly, previously priced at £4.49/$4.99 is now £2.29/$2.99 and can be downloaded here. Picnic Wars, previously priced at £2.29/$2.99 is now £1.49/$1.99 and can be downloaded here. RISK, previously priced at £2.29/$2.99 is now £1.49/$1.99 and can be downloaded here. The Game of Life, previously priced at £2.29/$2.99 is now £1.49/$1.99 and can be downloaded here. The Sims 3, previously priced at £5.99/$6.99 is now £2.99/$3.99 and can be downloaded here. Zuma’s Revenge, previously priced at £2.29/$2.99 is now £0.79/$0.99 and can be downloaded here. Earlier this week Electronic Arts and Respawn Entertainment announced that the much hyped Titanfall will be releasing in March. The exact street dates are March 11th in North America, March 13th in mainland Europe, and March 14th in the UK. Titanfall will be available on Xbox One, Xbox 360 and PC. In addition to the announcing the release date, EA and Respawn also unveiled a Collector’s Edition which will drop at the same time. 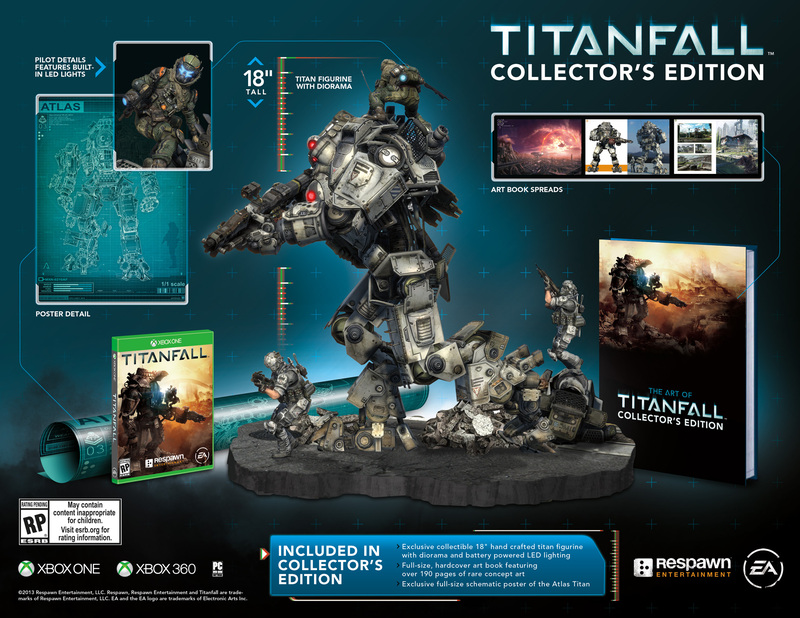 The collector’s edition will come with an 18″ hand crafted Atlas Titan and an LED lit diorama. It will also include an art book containing more than 190 pages worth of concept art, and a full size poster detailing the schematics of the Atlas Titan. The collector’s edition of Titanfall will retail for $249.99 and is available for pre-order right now. It will release alongside the standard edition of the game on March 11th in North America, March 13th for mainland Europe and March 14th for the UK. Electronic Arts and the Red Cross are teaming up to help bring aid when a natural disaster strikes. 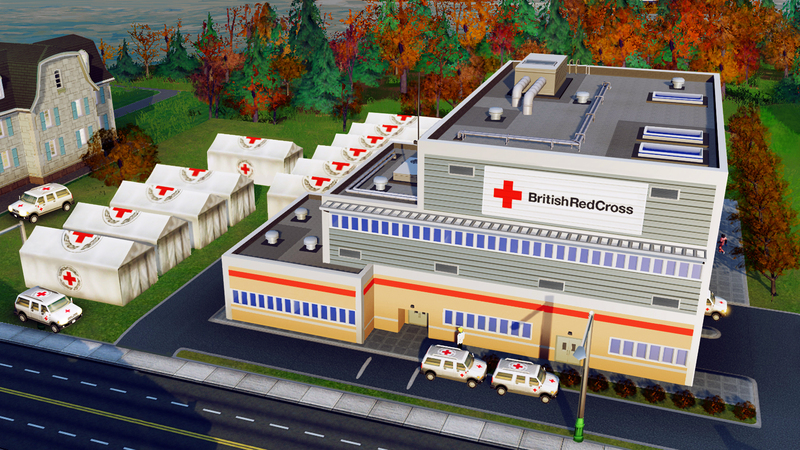 If you purchase the Red Cross branded content (priced at £7.99) it will allow players to supplement the available in-game emergency vehicles with additional relief from the Red Cross when a natural disaster strikes your in-game city. Included in this content is two Red Cross themed vehicles that will travel around your city when a disaster happens. Also included is a Disaster Relief Center and the ability for Disaster Relief tents to appear around the area when a natural disaster happens. Sims that would normally have been critically injured will receive care from these tents; once recovery efforts have been accomplished by the in-game Red Cross, each tent will disappear and release ten healthy Sims back into the city. 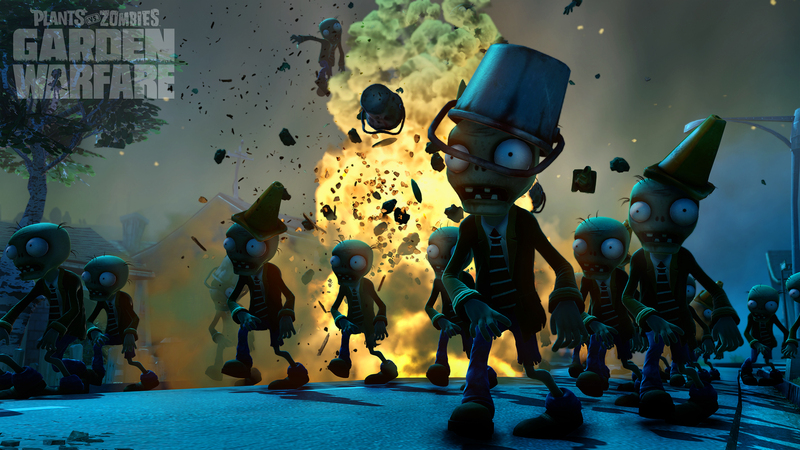 To kick off the EA media briefing, PopCap games was introduced and announced Plants vs. Zombies: Garden Warfare. It will launch first exclusively on the Xbox One and Xbox 360 in the Spring of 2014. 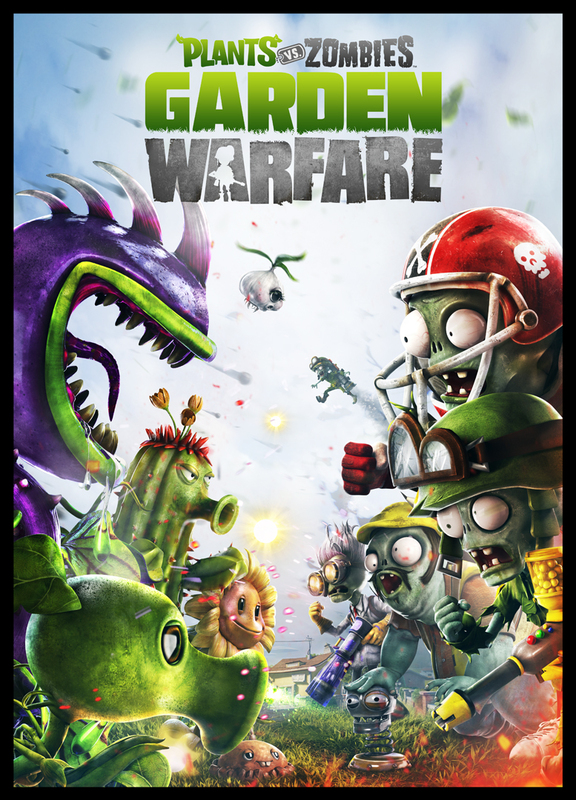 Powered by the Frostbite 3 engine PvZ: Garden Warfare will feature 4 player co-op and 24 player competitive modes over ten unique battlegrounds. 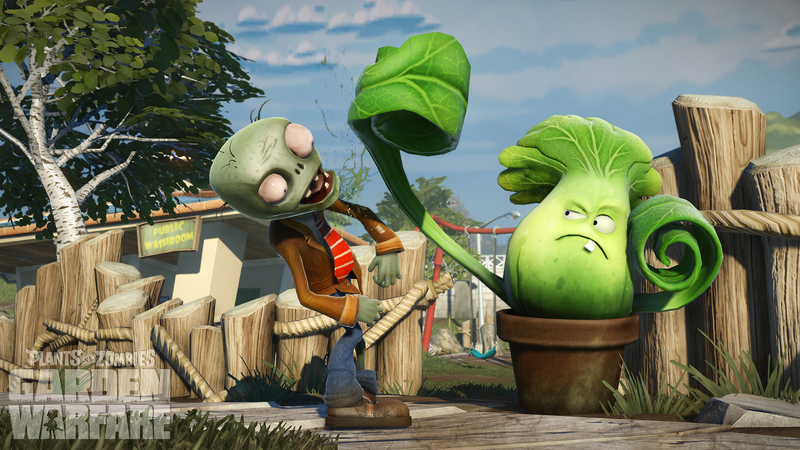 You will also be able to personalize your favorite plant (or zombie) with hundreds of unique items and customizations. War. Gritty, brutal and deadly. 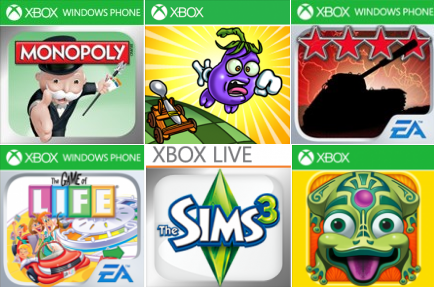 Simulated, it proves to be one of the most popular genres of games available on the market. None stand out more however, than the Battlefield series. In particular, none other game stands out more than Battlefield 1943. This download only title in the Battlefield series is one worth remembering. Created by EA Digital Illusions CE, this 2009 multiplayer only gem still stands strong today. Read on to see all out review warfare put up against this game. Gameplay in Battlefield 1943 is all about vehicles. Although 1943 offers heated ground engagements, the real prize here is the in-depth vehicle controls. 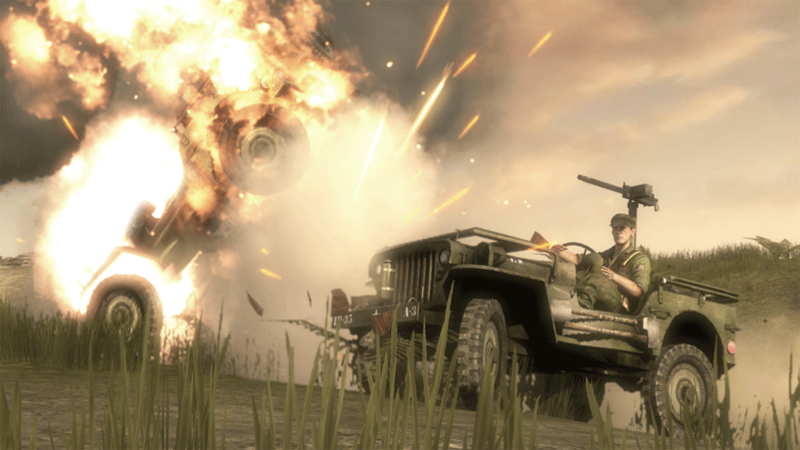 Set in World War 2’s pacific campaign, you play as one of 3 classes; Foot Soldier (Armed with a marksman rifle and rifle grenades), Engineer (Armed with a Sub Machine gun and Rocket Launcher, as well as a repair tool to fix vehicles) and Sniper (Armed with Sniper Rifle and remote TNT charges). You’ll be fighting for either the US Marine Corps or the Imperial Japanese Navy. Either way, you’ll be sure to have a ball. The vehicle set in 1943 is varied greatly; you’ll be fighting by Plane (Comparable to the Jets in Battlefield 3, albeit simpler controls), by Boat, by Jeep or by Tank. Each vehicle can have upwards of 2 people riding shotgun, or manning the artillery. If that’s not enough to satisfy your hunger, then take a step into the Bombing Shelter. Once inside, you can control a trio of bombers, and carpet bomb any where you feel necessary to smithereens. Bombing has never been so much fun. Which brings us to the next topic; Frostbite 1.5. This game engine fuels Battlefield 1943 to make any of the 3 maps 90% destructible. 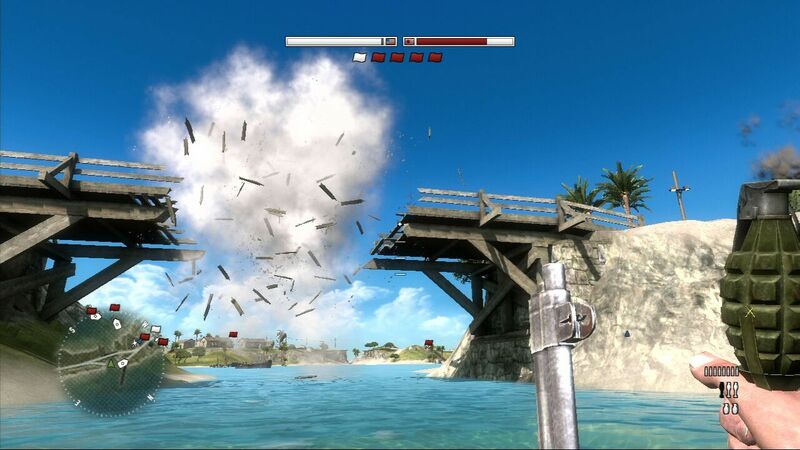 This allows you to destroy an enemy’s cover with a simply grenade, while also allowing you to remove key points on a map; a bridge for example to slow enemy tanks. This leaves the map at the end of the game looking like virtually a battlefield. Included in 1943 are 3 maps, all built for the game mode Conquest. Conquest involves players attempting to capture key locations on the map, and if 3 or more are controlled by a single team than the other team begins to lose points. If the locations are controlled for long enough the other team loses. Th maximum for each team is 12 people, leaving you a whopping total of 24 players per match. 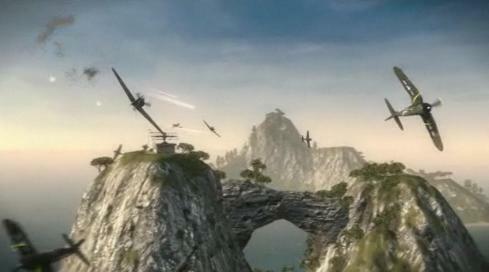 The 3 maps included in the game are as follows: Wake Island, a horse shoe shaped island returning from previous Battlefield games, Iwo Jima, a long strip of building covered flat terrain that will leave the water surrounding it as red as the afternoon sky lighting the map, and Guadalcanal, a hilly, bushy map with sky’s so blue the enemy will be staring at them as soon as you put them down. 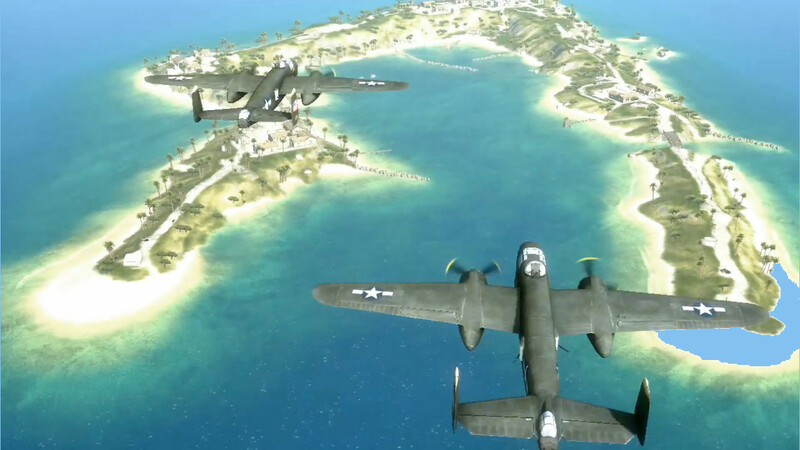 As an added bonus, a fourth map, Coral Sea is available with an exclusive game mode; Air Superiority. Two teams fight with Planes alone. Control the air space long enough to win the game. In all, Battlefield 1943 features a fully loaded Battlefield experience for veteran players, and a fun-filled, action packed, tactical experience for newer players. Battlefield 1943 wouldn’t be the game it is without its graphics. For a downloadable title, 1943 features such high-resolution detail that it bewilders even experienced gamers. Under the hood of gameplay, Battlefield 1943 features high detail models, textures and effects to counter a console disc. What makes 1943 stand out is its adaptive lighting. When a building is destroyed, sunlight will filter through the cracks, through the holes, and stop when smoke blocks the way. With burning trees, smoky ruins and high-caliber explosions, 1943 is a graphical treat to the eyes. The graphics don’t stop on land; 1943 features some of the most beautiful water in any game. Ever. The water is so detailed that you’ll want to stay in all day. Literally. Overall, the graphics are above and beyond for a downloadable title, even one at less than a gigabyte size (862 Mega bytes total). 1943 isn’t just chunky with it’s immersible gameplay and blow away graphics. The sound effects in this game will make even dying a delightful treat tot he ears. DICE and EA have worked hard re-creating every sound from the World War 2 period. Want to go kamikaze in a plane? Get greeted by the classic sound that instilled fear into soldiers everywhere. Want to listen t the radio in your jeep? No problem. Even the explosions have high detail sounds to them, making the immersion felt in this game even more. The soundtrack however is another thing. Although catchy and interesting to begin with, it quickly becomes annoying listening to it between matches. To top things off, veteran Battlefield players will find it is just a remix of Battlefield 2142’s soundtrack. This leaves the music lacking in comparison to the rest of the game, however it is by no means bad. It simply does not meet the standard set by everything else in the game. Overall, Battlefield 1943 is a game you want to get excited for. 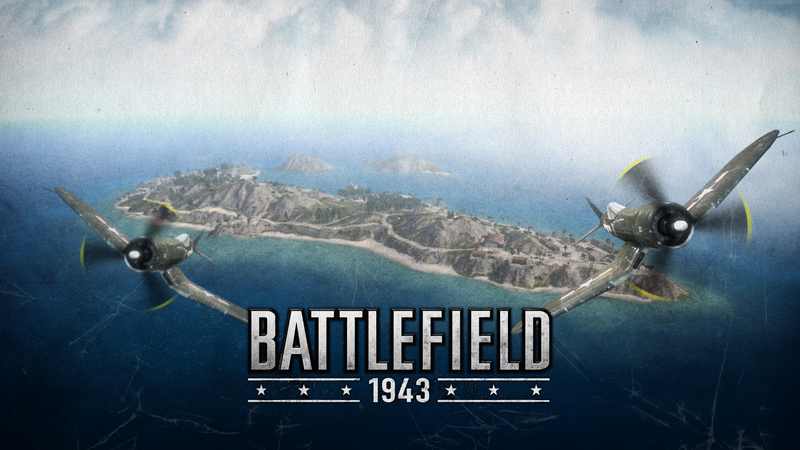 Whether it be your taste for destruction your flare for graphics or you just want to drive a virtual boat freely, Battlefield 1943 is everything you need and more. Get it now on the Xbox Live Arcade Marketplace for 12000 Microsoft Points, or for $14.99 US on the PSN store.